The original Destiny’s Archon’s Forge (and the Court of Oryx before it) proved to be a regular pastime for many players working their way through light levels. It was a repeatable activity that let players grind out events multiple times – for hours, if they had the tokens do it long enough. This gave players a PvE setting that was occasionally challenging, but didn’t need the engagement of a strike or raid, making it a fun way to relax with friends while shooting some bad guys. Destiny 2’s Warmind expansion tried a similar trick with Escalation Protocol, and while the activity offered some fun twists on the horde mode concept, it also introduced a few issues that made it less than ideal to tackle with just your friends and a bit of headache at times, as players tried to circumvent Destiny 2’s matchmaking system in order to create large groups of players the event wasn’t meant to cater to. The Blind Well, Forsaken’s shot at improving on the concept, veers closer to Archon’s Forge by making some smart improvements. For one, rather than disrupt the regular flow of the area it’s located in the way Escalation Protocol did (launching an Escalation Protocol on Mars delayed the arrival of public events in the area, which made it frustrating for anyone who simply wanted to complete their weekly milestone), the Blind Well is located in its own cordoned off area. So if you’re venturing around in the particular palace this activity is located in, chances are you’re up for some Blind Well runs. Additionally, the token system from Archon’s Forge returns, meaning players will have to be a little more choosy about when they start a Blind Well run; you won’t be walking in on a group constantly starting the activity in the hopes people will join them mid-run. 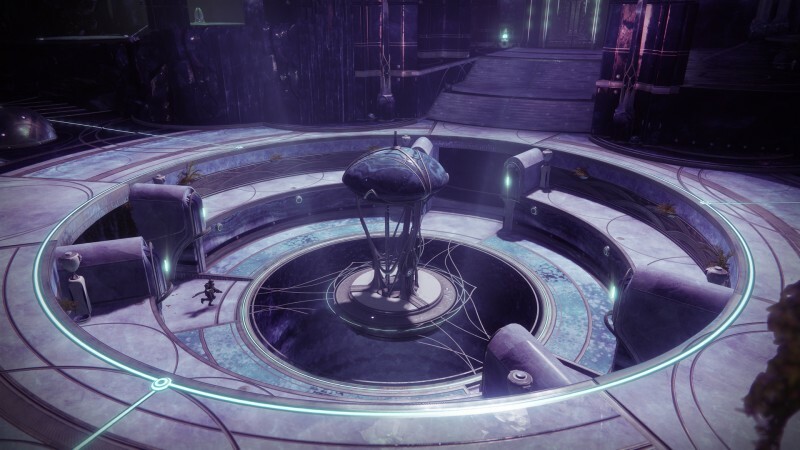 You’ll be able to find tokens to run the Blind Well simply from exploring The Dreaming City and finding some of its alluring secrets, or buying them from Dreaming City vendor Petra Venj. As in Archon’s Forge, there are different tiers of Blind Well runs, and each requires one of a different kind of token to run. Unlike Archon’s Forge tokens, however can fuse multiple Blind Well tokens of lower tier into a token for a higher tier, streamlining the process of acquiring tokens in the first place. Bungie also tells us tokens will drop more liberally than they have for similar activities. Like Escalation Protocol, the Blind Well is balanced around three players, but Bungie has also told us it is looking into ways to make it easier for groups of a larger size to take on the activity. Bungie noticed that while nine-player Escalation Protocol runs weren’t exactly playing fair, it was a lot of fun to run around with eight other guardians at once, taking on larger-than-average conflict. Once you start up a Blind Well run, you can prepare to take on one of the five enemy factions (including the Scorn), which rotate every week. Once our run of the mode began, we quickly noticed we were encased inside a purple bubble, and that we had a buff called “Touch of the Sky.” Venturing outside the bubble eventually removed that buff, after which we we began taking damage. We of course also noticed several enemies trying to get to the bubble’s center, as well as at each of our throats. Killing enemies had them drop bits of light, which are used as an offering the towering machine we were defending. Once we had collected 100 percent of the offerings we needed, the bubble dropped, and we were forced to abandon our location and head to another nearby bubble. Things then got a little more interesting. Among the enemies that began to assault as at the new bubble were yellow-bar enemies with invulnerable white shields. Quickly after, however, we saw enemies called Anathemas follow behind. Killing anathemas dropped glowing orbs (usually outside the bubble). These orbs gave whoever picked them up a buff called “Harmony,” which began to quickly fill all of our abilities and allowed them damage the invulnerable shields, allowing our fireteam to then defeat the enemy. After running through this cycle of killing enemies, grabbing orbs, and filling meters, we were greeted by a boss unique to whatever faction is in rotation that week. This week we were faced with scorn, which meant facing off against a powerful Chieftain boss who could drop every kind of totem (as opposed to one kind), and drop them much more quickly. This boss was intensely difficult and took a little while to take down. Higher difficulties, we’re told, will have stronger and more plentiful bosses, and some may even have the same invulnerable shields the yellow bar enemies did. After completing the event, we were treated to some cool loot, but received a hint from Ghost which alluded to an even higher tier of event. Bungie then told us that a Heroic version of the Blind Well did indeed exist, though they wouldn’t tell us exactly how to unlock it. 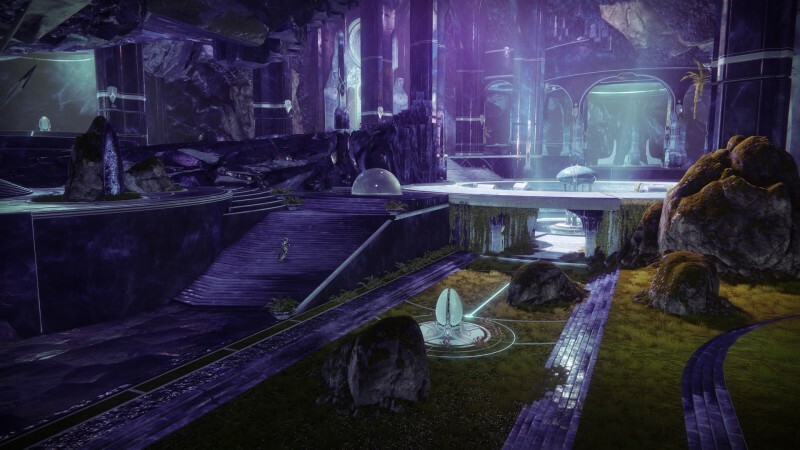 Bungie did tell us, however, that the Blind Well is meant to be one of the final stops players make as they approach Forsaken’s new light cap of 600. They want to harken back to the same, relaxing-but intense grind that offered players little downtime for active players, but provided short bursts of fun for those with less open time schedules. From what we’ve played of it, it seems like it strikes a good balance – it’s a simple activity that doesn’t require a lot of puzzle-solving, but offers just enough variety that it’s not completely mindless. Hopefully, it’ll end up as the fun, repeatable activity Destiny 2 players have been clamoring for. If you’re interested in learning more about what Destiny 2: Forsaken has to offer today, make sure to check out our cover hub, which outlines what players can expect once they dive into Destiny 2’s second year.